[googlemaps https://www.google.com/maps/embed?pb=!1m18!1m12!1m3!1d9970.4184172802!2d-0.22143773991318616!3d51.336792032962194!2m3!1f0!2f0!3f0!3m2!1i1024!2i768!4f13.1!3m3!1m2!1s0x4875e2982fac4461%3A0x5d0e245ebdc4fcd0!2sApril+Cottage%2C+The+Dr%2C+Sutton+SM2+7DJ!5e0!3m2!1sen!2suk!4v1539531396682&w=600&h=450] Cuddington Meadows was declared a Local Nature Reserve in January 2004, based on the diversity of its chalk grassland. Although at only 1.42ha (3.5 acres), Cuddington Meadows is a small site, it contains a number of scarce and important species within the chalk grassland. Cuddington Meadows was shown as part of a couple of enclosures in the otherwise open Banstead Downs on an Ordnance Survey map in the early 19th century. Maps from 1866 and 1887 show the site as part of Walnut Tree farm, which was then developed into Cuddington Hospital in 1897. The hospital closed in 1984 and was subsequently demolished. The land was left for several years, used mainly to train police dogs, although it was still partially maintained by Epsom Health Care Trust to reduce the risk of fire and other hazards. In the late 1990s, the majority of the site was developed for 18 4 & 5-bed houses. 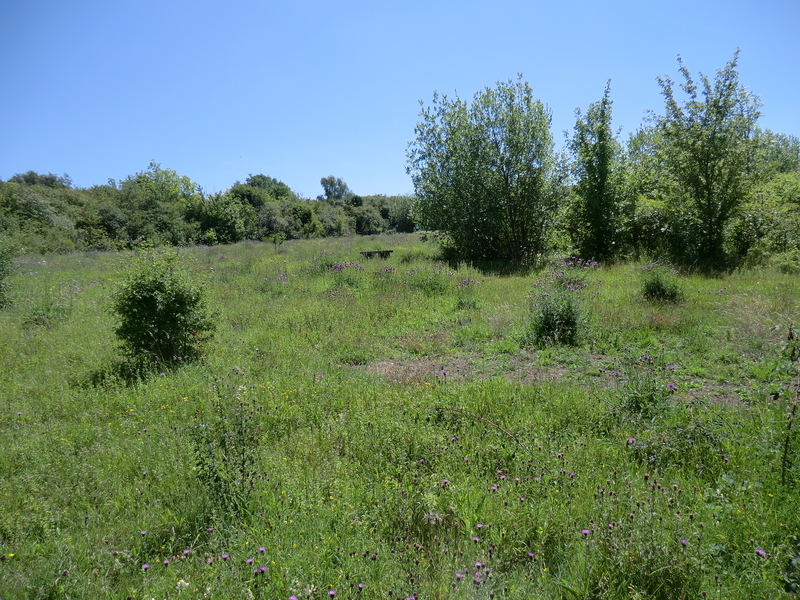 During the development of the site, the area that is now Cuddington meadows LNR was transferred to LBS to be managed for nature conservation due to the remaining chalk grassland on this area. Cuddington Meadows is composed primarily of chalk grassland with some scrub / hedge edging and a scrub island, some planted fruit trees and a small pond. Chalk grassland is vitally important for numerous species of flowering plant, due to the thin soils and low nutrient content. A pioneer plant of bare and disturbed chalk, kidney vetch (Anthyllis vulneraria) is a species that can be locally abundant in the right conditions. In London, this plant is generally scarce as the flower rich grasslands it inhabits are now fragmented. Kidney vetch is the sole food plant for the small blue butterfly (Cupido minimus), a scarce and declining species in Britain. Cuddington Meadows is lucky to have a small population of this UK Biodiversity Action Plan Priority Species, the smallest butterfly in Britain. Males & females have a slight dusting of blue along the length of the thorax and abdomen, with predominantly brown wings and pale blue underwings with black spots. The specific requirements for kidney vetch to grow mean that the small blue is slaved to any fluctuations in the kidney vetch populations. 16 species of butterfly have been recorded on the site, although none are (arguably) as important as the small blue. The variety of flowering plants on site provides valuable nectar sources for butterflies, the different flowering times of a variety of species ensures that nectar is available continuously from spring right through until autumn. Recently, the eggs of the brown hairstreak (Thecla betulae) butterfly have been found on the site, which makes this a new species for the borough. This species is nationally scarce and is a BAP Priority Species. The discovery of this important species on the site will influence the way in which we manage certain areas, so that the brown hairstreak can continue to breed on site and hopefully flourish, so that it moves to other sites in the borough. The variety of flowering plants within the grassland is the most important feature of Cuddington Meadows and the grassland is managed to prevent dominance by any particular species, as well as ensuring that too much scrub (blackthorn, hawthorn, dog rose and brambles are the main culprits) doesn’t start to take over. If left unchecked, the grassland would turn into scrub, then small trees and eventually, woodland. The small pond at Cuddington Meadows has been artificially created to provide a watering hole for the local birds, as well as a habitat in its own right, supporting frogs, newts, water plants and dragon- and damselflies. The pond is still very young, so there are still species that may well colonise it in the future. The scrub and hedgerows in and around the site are very important, as they provide homes and shelter for a variety of animals. Small mammals, birds and insects all live and forage within them; feeding on each other, the dead wood or leaves and fruits. The scrub also provides a buffer from winds whipping across the surrounding golf courses, providing sheltered areas in the grassland, conditions that the small blue butterfly really needs. 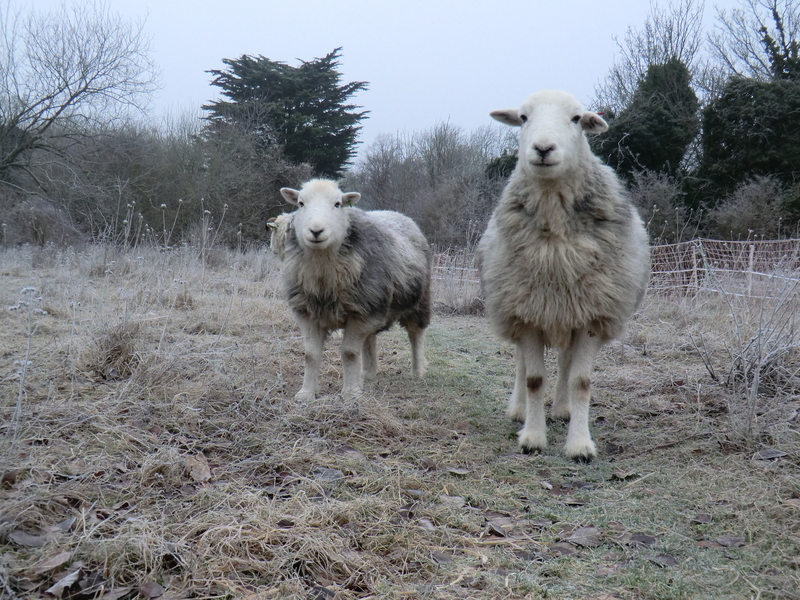 To create the age- and structural diversity within the grassland required to provide food and shelter for the many species living on the meadows; the best way to go about this is to graze the site with sheep. Although they may be preferential to some species over others, this very action creates an uneven sward of closely grazed short turf, as well as tussocks of longer grass. Shorter turf and bare ground heats up quicker than longer grass, which in turn heats up quicker than bushes and trees. Therefore, within the site, there are thermal (heat) gradients that can be exploited by more organisms than if there were just one ‘habitat’ i.e. amenity grassland is all the same species of grass, it’s all the same length and consequently has far less wildlife associated with it that a meadow like Cuddington. 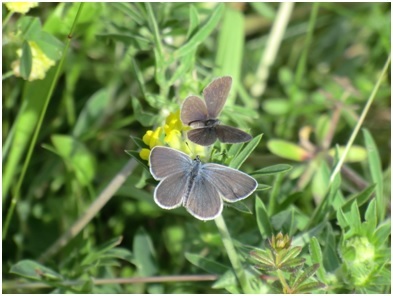 To help create these thermal clines (areas of linked temperature), the SNCV and our partners, such as the DCMP (Downlands Countryside Management Project), create scrapes of bare chalk, which also help the spread of kidney vetch and hence the small blue butterfly.